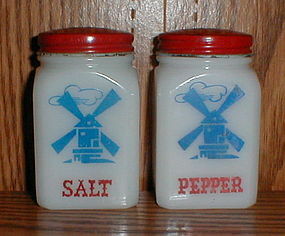 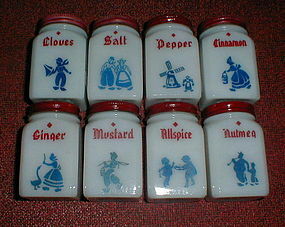 "Windmills" Salt & Pepper Shakers, glass and decals are in good condition. 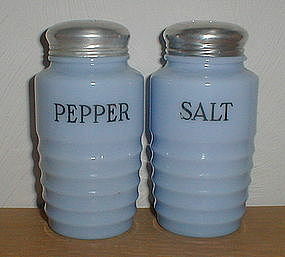 Lids are original and do show some wear but are still ok.
Jeannette ribbed Delphite Salt & Pepper Shakers in excellent condition. 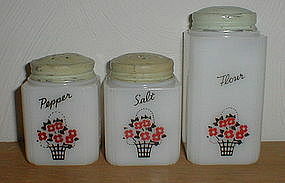 Glass is excellent, decals also except for a tiny bit of wear on the "s" in salt. 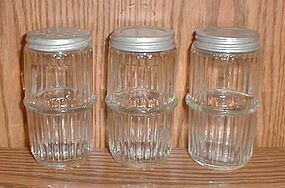 Lids show a bit of wear but are still nice. 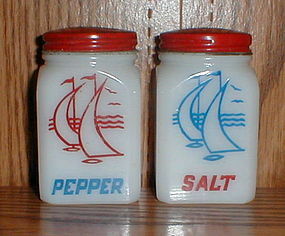 Tipp City "Basket" Salt, Pepper & Flour. 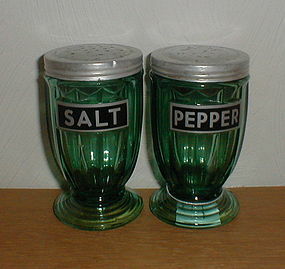 S&P are in excellent condition except for some wear to the original lids. 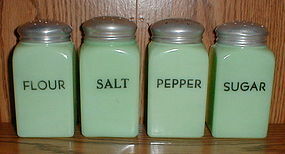 $35.00 for this set. 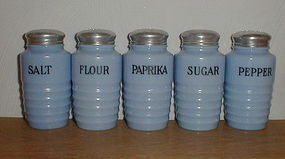 Flour is good except for a small chip on the upper edge and some wear to the lid. 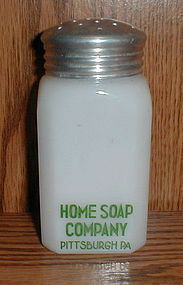 $18.00 for this shaker. 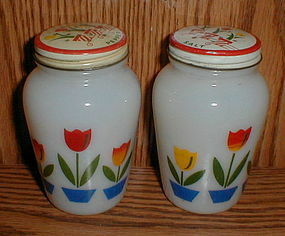 Tipp City "Red & Yellow Flowers" tall Sugar & Flour Shakers. 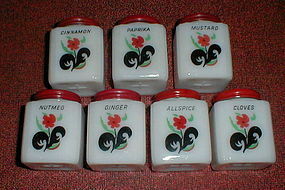 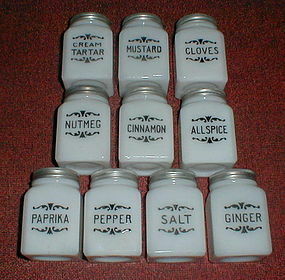 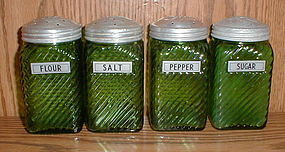 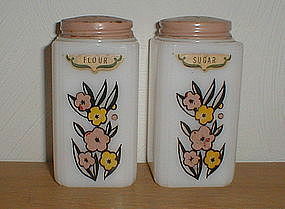 Shakers are in excellent condition, but decals have faded a bit as has the original paint on the lids. 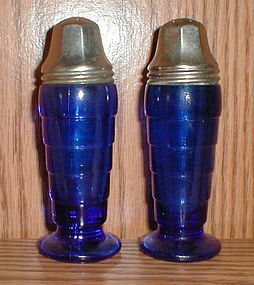 $15.00 for one or $25.00 for both.